Southern Cone Travel: Ghost Towns of Patagonia? 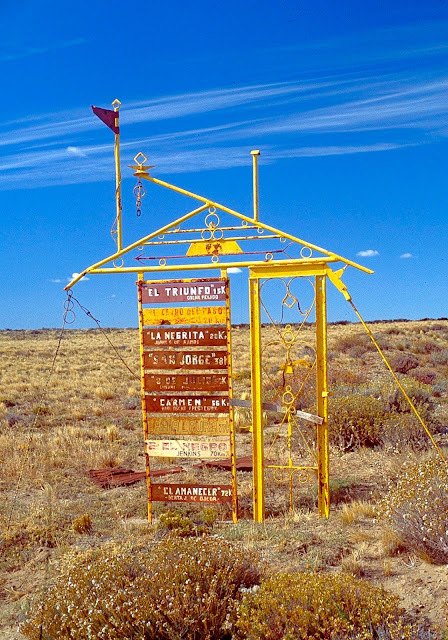 A Review of "False Calm"
Ghost Towns of Patagonia? A Review of "False Calm"
When the great Charles Darwin looked back on his travels, he displayed a surprising affection for Patagonia’s endless plains: “"In calling up images of the past, I find that the plains of Patagonia frequently cross before my eyes; yet these plains are pronounced by all wretched and useless. They can be described only by negative characters; without habitations, without water, without mountains, they support merely a few dwarf plants. Why then, and the case is not peculiar to myself, have these arid wastes taken so firm a hold on my memory? I can scarcely analyse these feelings; but it must be partly owing to the free scope given to the imagination." María Sonia Cristoff—herself a Patagonian native—might agree with Darwin, but for different reasons. When I first saw False Calm – A Journey Through the Ghost Towns of Patagonia, the subtitle suggested something very different from what I then read about, an area I’d gotten to know pretty intimately over the course nearly 40 years. I had to check the Spanish version—“Un recorrido por pueblos fantasma de la Patagonia”—to clarify exactly what she meant. 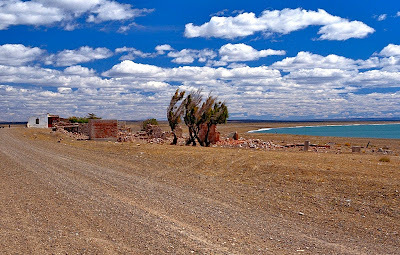 That wasn’t enough, though, as she wasn’t writing about abandoned settlements like remote Cabo Raso or the old Frigorífico Swift company town near Puerto San Julián, both of which I had visited regularly if not frequently. The Frigorífico Swift, on the outskirts of Puerto San Julián, is an industrial ghost town. Cristoff, though, is not interested in nostalgia-laced curiosities in a region renowned for its wildlife and wild Andean backcountry. 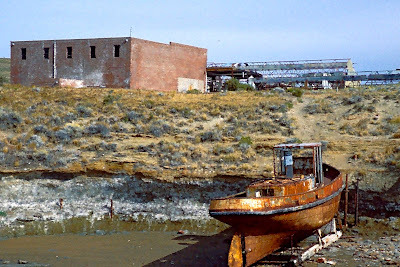 Rather, she focuses on what I would describe as semi-urban backwaters on the Patagonian steppe that begins just inland from the Atlantic and extends well beyond the limits of Darwin’s vision at Puerto Deseado, and I might call her experience a "stay" rather than a "journey." 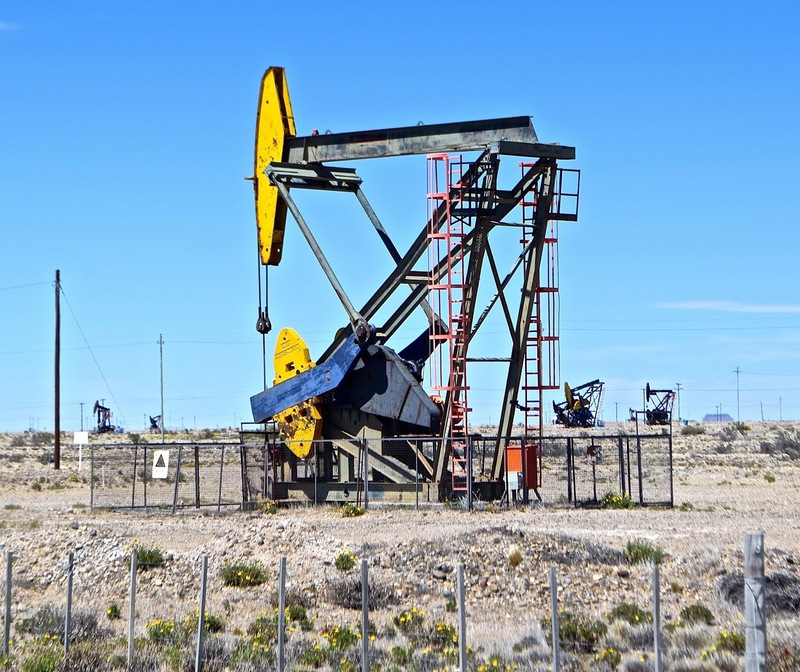 Las Heras, one of Cristoff's "ghost towns," survives on fossil fuels. Personally, I might also call her destinations "backwaters" instead of "ghost towns," and Cristoff is more an ethnographic participant observer of life in settlements like Cañadon Seco (population roughly 900), which is only 14 kilometers from the coastal oil town of Caleta Olivia (population 80,000 or so, which I know fairly well). Except for the inland oil town of Las Heras (population 23,000, which I’ve visited once), most other settlements are so far off the beaten track that I struggled to find them on road maps that showed only gravel tracks in the area. Cristoff's hometown of Trelew is more prosperous than the towns she writes about. She gets to know her destinations through residents who seem stuck where they are or, on occasion, are returnees (escapees?) on brief visits to their former homes. Her stories often tell us the darker side of small communities that we know exist but may prefer to overlook. 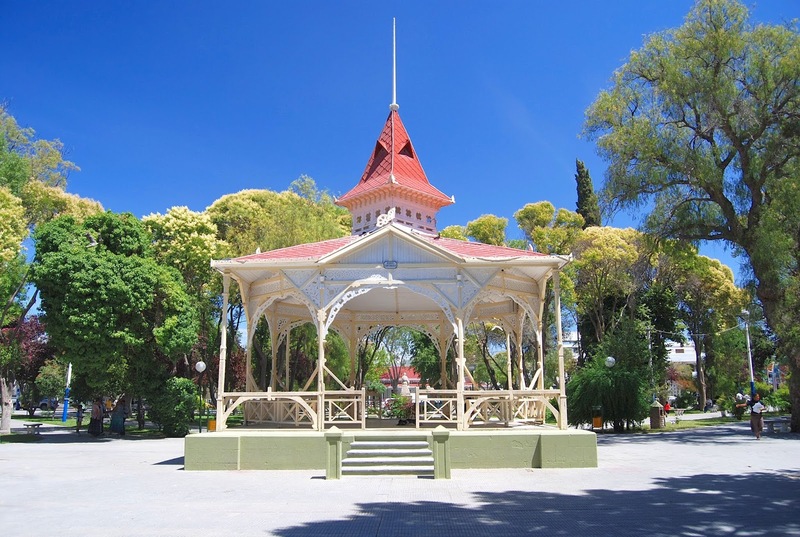 These absorbing but taxing tales almost completely ignore prosperous places like Trelew—the author’s hometown—and nearby Puerto Madryn, which have flourished with the tourist trade, wool, and industries such as aluminum. 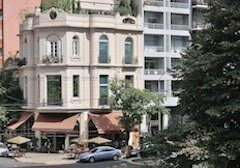 That said, this is a worthy counterpoint to Patagonia’s romantic image, as seen from afar or on brief sightseeing tours. I know the translator Katherine Silver slightly and, while I might still quibble with the term “ghost town” in English, it’s perhaps metaphorically appropriate to places whose inhabitants are wraiths even to their fellow citizens who pass through their communities. 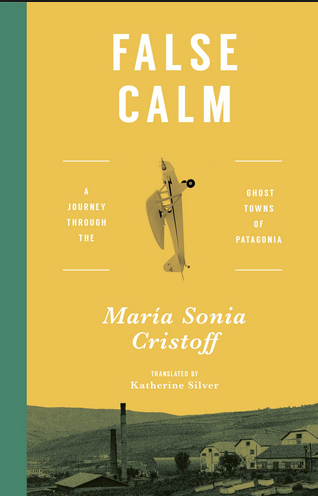 At the end of the day, the title “False Calm” implies aspects of Patagonian life that short-term visitors are likely to miss but are nevertheless important.